I will never forget my first trip to Merida, Mexico in October of 2007. I had been living in Tulum, Mexico for about a year and figured it was time to get serious about learning Spanish. I registered at Institute of Modern Spanish and was SO EXCITED! I would live 2 weeks with a Mexican family who would provide my meals and I would attend school 20 hours a week. It was quite affordable. I arrived on Thursday and went to the town center and rented a room in a historic hotel to see what life in down town Merida was all about! What I found, I really liked. CULTURE! MUSIC! FOOD! It seemed almost every restaurant; even taco stands had at least 2 singing guys and a guitar! Every Saturday Night for many generations they have been closing the main part of the center of town from car traffic and setting up stages, tables and chairs in the middle of the streets for people to dance and have a good time. FOR FREE! This goes on until the wee hours of the morning. I realized as I looked around, this was for the people of Merida more than for tourism. That night I saw only a handful of tourists and hundreds of locals. I was pleasantly surprised that the festivities continued on Sunday, with the streets remaining closed, now filled with booths for food, handcrafts and stages for cultural presentations. Many Meridians were walking their dogs and riding their bikes on the now safe streets. What a fun weekend that was! This is one of the reasons I think so many American and Canadian people are flocking to Merida to live at least part of the year, it is so RICH with Culture! With music, museums, architecture, sports, galleries and shopping, you could NEVER be bored! And there is more to discover in the surrounding areas. All that and it feels safe too! There is an international airport, so it is easy to get to and from Merida. There is some of the best medical care in Mexico, as it is a regional center for the entire Yucatan Peninsula. It has Universities and Community Colleges as well as many public and private schools for children. Merida has Consulate offices for many countries including the US and Canada. As it turns out, it really is safe in Merida! 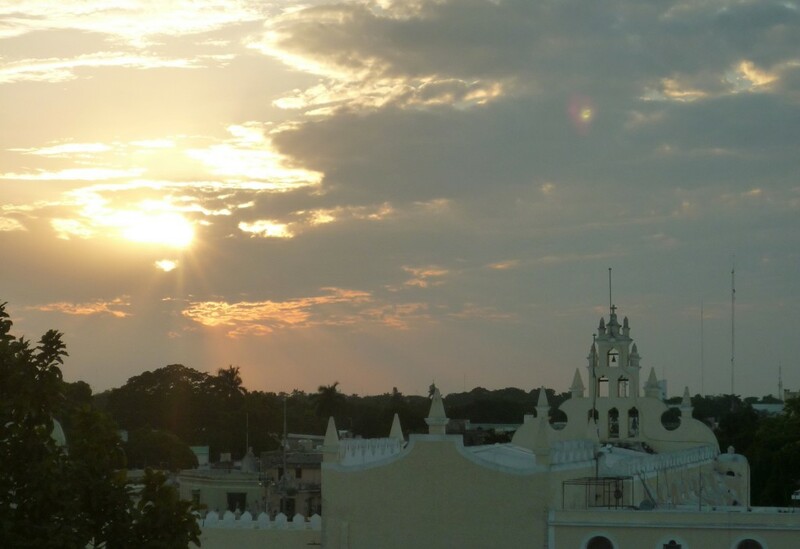 The state of Yucatan has been declared the safest state in Mexico and Merida received the City of Peace Award in 2011. We all know how important safety and access to good medical care is in making the decision to visit or call a place home! Merida has about a million people, so there are all the conveniences of shopping, industry, and mass transit that come with it being a real city. The downtown area is very historic and then thins out into many “colonias” that go on and on and then into the country side that is full small roads that wind around to Mayan Ruins, small Mayan towns, old plantations and working farms, birds, wildlife, caves and swimming holes as well as beaches on the Gulf of Mexico. Because the Yucatan Peninsula is separated from the rest of Mexico, it has a culture, language and history very different from the rest. Merida itself has such a mix of cultures, a colonial city with ancient and modern Mayan influences everywhere. 60% of the people who live there are of Mayan decent! Some of the rest consider themselves Yucatecán rather than Mexican. The food, dance, style of dress are all very unique. The Spanish “discovered” this area in about 1542, and built their main city on top of the Mayan city that was already there. Of course there is a rich history of the Mayans vs. the Colonialists and many historic places to visit that show this both inside the city and in the surrounding area. The architecture is a very wild mix of very old, very modern and everything in between…most of it is well preserved. One of the oldest churches in Mexico is here. The feel of Merida is very colonial with the central square, narrow streets, giant old trees, homes and public buildings with the amazing gardens walled in off the street. Then there are the mansions! WOW! You see, around the end of the 1900’s, many Meridians got RICH! They developed big plantations of a type of agave plant called Henequen from which they made rope and burlap that they exported to all over the world! At the time, Merida was said to have the largest concentration of millionaires than any other city in the WORLD! These newly rich developed a love of anything European and they brought over many French architects to build what I call wedding cake houses as they are several stories high, mostly pastel colors and have columns, gargoyles and other ornaments all over them. These line the streets of The Paseo de Montejo and are now museums, banks and cell phone company offices. The Plantations are no longer in operation, however many are open to the public either as museums, hotels or restaurants. I went to one where a horse drawn buggy along a railroad track took us to 3 big and very private Cenotes for swimming! I was at another one that has it’s own Mayan Temple in the back yard! So much to explore in the surrounding area. Summers are VERY hot in Merida, so even the Meridians have places on the nearby beaches to escape to. Just 30 miles away by car is the town of Progresso. It is right on the ocean and looked like a movie set when I was there in October, but another time when I was there in February, it was packed with people having a good time. Not much farther away is Celestún, where you can see flamingos and hundreds of other species of birds. Ducks Unlimited has a base there. Many Snowbirds from US, Canada and other parts of the world call Merida home in the winter. I was in one apartment complex in October that had exactly 3 people staying there, but the owner assured me that come January there would be over 300 people, many of them who come year after year and stay for months. Real Estate prices remain relatively inexpensive. Where in the US could you buy a 450 year old colonial mansion for any price?! Many people come to Merida, buying a run down old property and turn them into a gorgeous B and B, hotel or other income producing property. 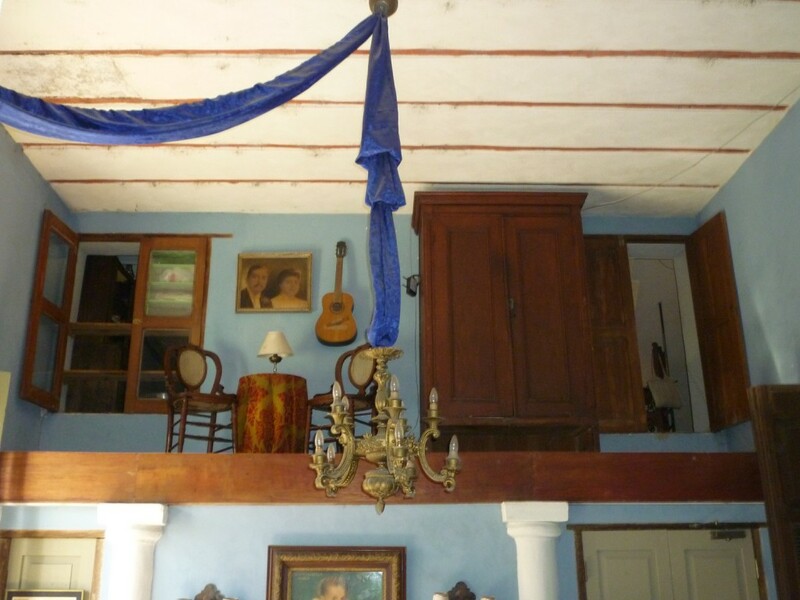 So many amazing antiques to furnish these places around Merida! Great places to stay too! So, if you have had Merida, Mexico on your mind, it’s time to go and see what so many are finding so appealing about it. It might be a good fit for your vacation, living or retirement options. Salud!